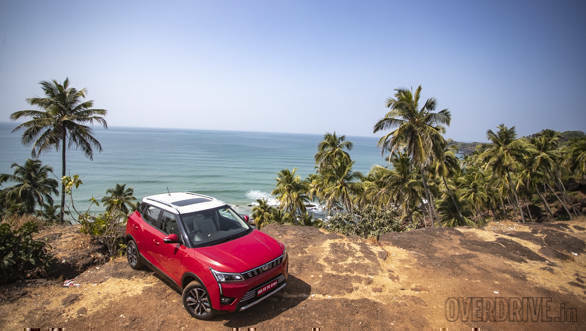 In the time that we spent driving the Mahindra XUV300, we came away generally quite impressed by it. But then it couldn't have been anything else, given how lucrative this segment can be for a nicely packaged car. 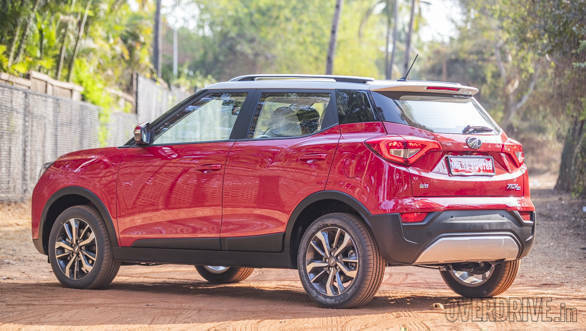 Here are the things we liked about the new Mahindra compact SUV and some of the few things we didn't. The XUV300's USP is the numerous first-in-class features that it comes with. We drove the top-spec W8 option variant and that gets equipment like heated outer mirrors, dual-zone climate control, modes for the steering, auto dimming inner rear view mirror and a sunroof. There is also quite a strong focus on safety. Dual airbags and rear disc brakes are standard. Some of the other safety tech available are seven airbags on the top-spec car, hill hold, seat belt reminders for all seats and a front parking sensor. What adds to the experience is that all these feature additions are practical and lift the experience considerably. There are small, thoughtful touches further enhancing this sensation. 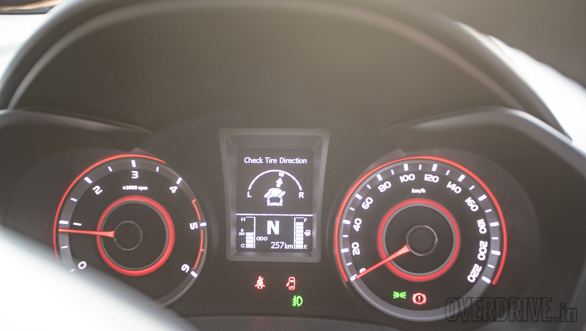 These are the memory settings for the climate control, the tyre direction indicator and the various colour options for the instrument cluster. 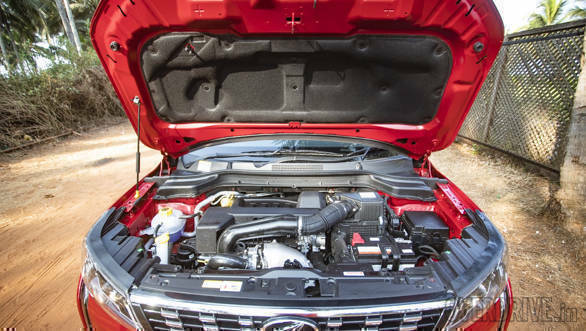 We tested the diesel XUV300. This gets a 1.5 turbocharged motor which makes 117PS at 3,750rpm and puts out 300Nm of torque between 1,500 to 2,500rpm. This is one of the nicest units in the segment. The XUV300 has a distinct torque advantage over its rivals. 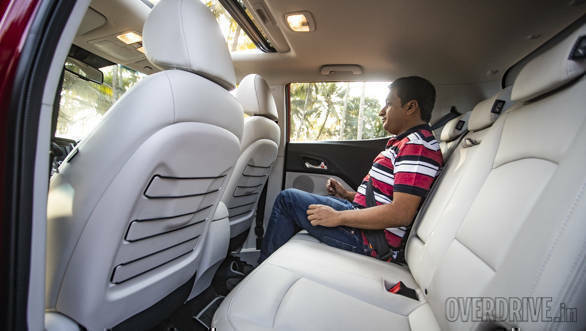 The SUV is able to potter along at city speeds without getting bogged down and there is minimal lag with sharp throttle inputs. This is down to the e-VGT this system uses. 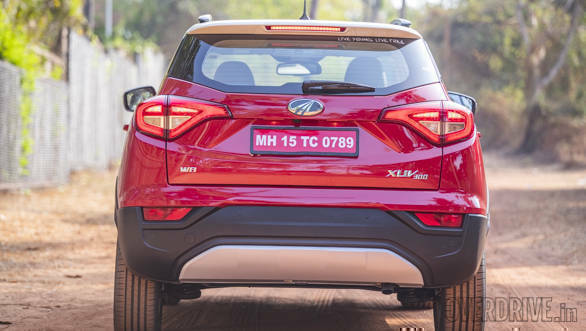 This, and the slight detuning, are the big changes that Mahindra has made in bringing this motor over from the Marazzo. This also makes the XUV300 great for a highway dash. There are swathes of reserve torque and overtaking is no hassle. The motor is also refined and not intrusively noisy, making long distance, triple digit runs a relaxed experience. 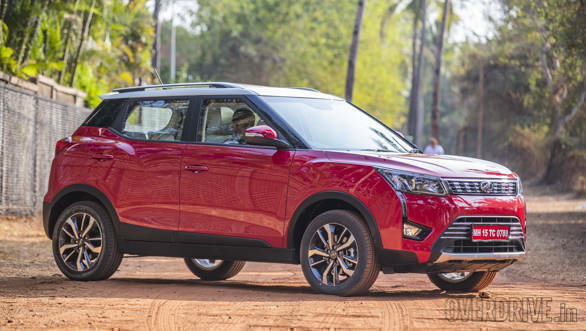 The Mahindra XUV300 has a squared-off stance. The wheels are pushed right at each end and the tyres, 215/55 17-inchers, are substantial. This keeps the car planted through corners. There is obviously some roll but body movements are confident and in regular driving, there is none of the sloppiness that we have seen in its more basic, ladder frame cousins. The suspension too has a slight tautness to it which reduces vertical movements quite a bit. There is no pitch or dive either. But this doesn't make for a stiff ride. There is good damping and the XUV300 handles most imperfections on the road seamlessly, at all speeds. Only the biggest bumps get through to the cabin. The steering modes on offer are also helpful. Steering inputs are light and effortless in the Comfort setting. In Sport mode, there is enough weight to give more confidence in more spirited driving. We found the middle Normal setting to be too middle-of-the-way with no considerable advantage over the other modes. The EPS, unexpectedly, has no real feedback but is precise and direct in its interactions with the front wheels. 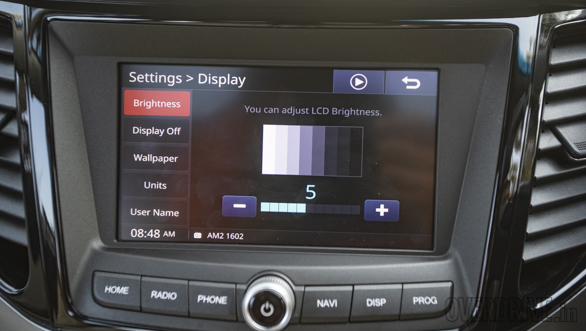 The centre console packs all of the car's functions. The layout is good with everything being in good reach but the design complicates things. The bank of slim buttons on the lower half of the console are difficult to operate and give no feedback to confirm an action. The odd, difficult to read fonts from other Mahindras further complicates things. It is almost impossible to press any of these buttons without taking your eyes off the road, a situation that will become exaggerated at night. 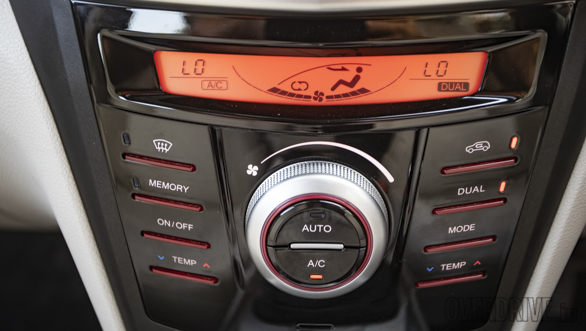 The smaller screen for the climate control also looks decidedly old-fashioned. We also hoped for a bigger touchscreen than the seven-inch one already on offer. There is large ungainly bezel around it. 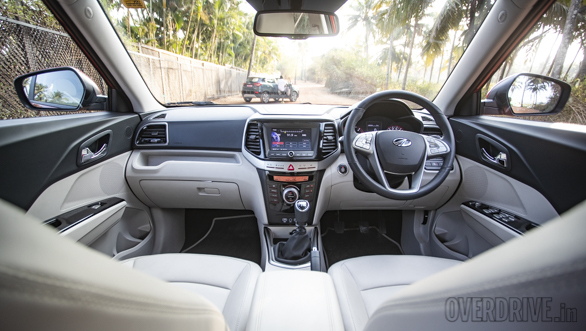 The unit is the one we have seen in other Mahindra cars but unlike those, touch inputs are quite responsive here. 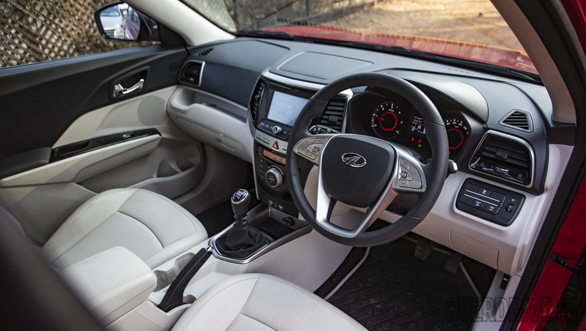 The XUV300 could have also managed the interior space better. Its 2,600 mm wheelbase is class-leading but this doesn't translate itself on the inside. Space is good and adults of most builds will be comfortable but the on-paper advantage seems to be missing in practice. The boot too looks small and has a high loading lip. The XUV300 is based on the X100 platform. 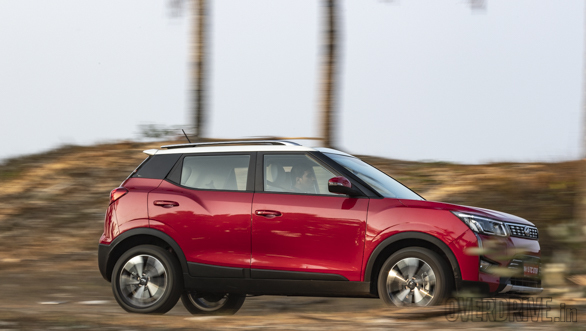 This monocoque platform also underpins the SsangYong Tivoli. But Mahindra has made significant changes to the bodywork to get it into the sub-four metre bracket. This is most noticeable at the rear. The upright rear end and strong character line over the rear wheel arches do not look as cohesive as the rest of the design. This sensation is accentuated by the small boot and large tail lamps. A side effect of this is that this entire section looks reared up. But other than this, the XUV300 looks contemporary and stylish. There is restraint in the design and not an overdose of chrome anywhere.